Add some prints to your weekend wardrobe with this figure-hugging dress. Featuring a velvet material with a leopard print design and a zip Fastening. 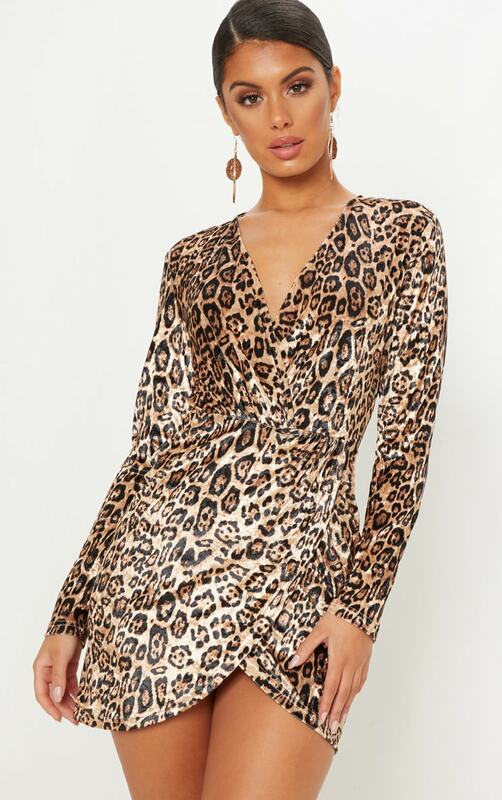 Team this with strappy heels and some statement earrings to complete the look.